Wonderful staff and so accommodating. 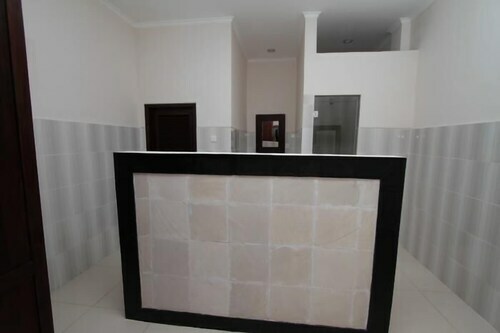 Our luxury 2 bedroom villa was so beautiful. 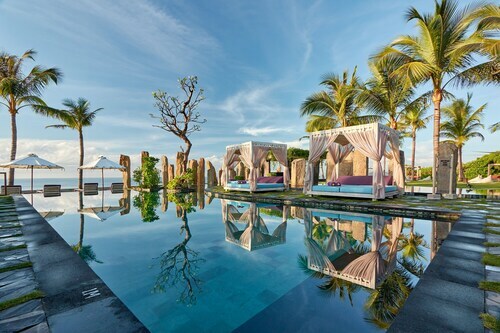 This family-friendly Sukawati hotel is within 3 mi (5 km) of Bali Zoo and Bali Bird Park. Saba Beach and Tegenungan Waterfall are also within 6 mi (10 km). 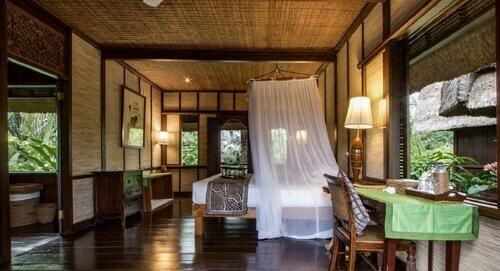 Situated in Sukawati, this hotel is 1.1 mi (1.9 km) from Bali Zoo and 2.4 mi (3.8 km) from Bali Bird Park. Ubud Monkey Forest and Ubud Traditional Art Market are also within 6 mi (10 km). 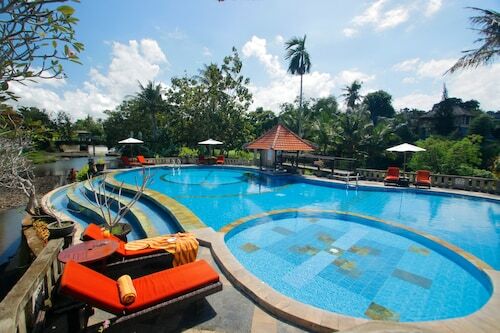 Situated in Sukawati, this hotel is 1.2 mi (2 km) from Bali Zoo and 2.5 mi (4 km) from Bali Bird Park. Ubud Monkey Forest and Ubud Traditional Art Market are also within 6 mi (10 km). 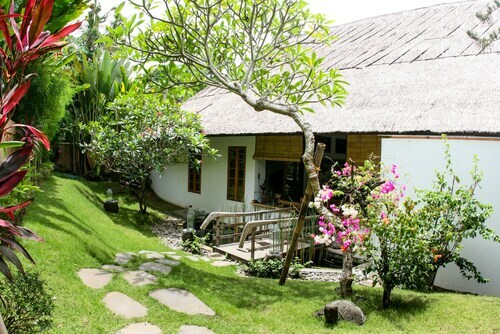 Situated in Sukawati, this bed & breakfast is 1.2 mi (2 km) from Bali Zoo and 2.5 mi (3.9 km) from Bali Bird Park. Ubud Monkey Forest and Ubud Traditional Art Market are also within 6 mi (10 km). Walk on the wild side with the unique creatures at Bali Zoo. The locals are sure to tell you it's among the best attractions in Sukawati. 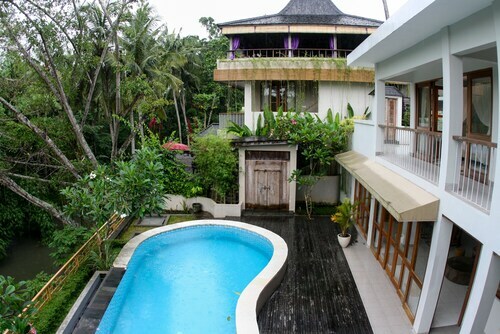 There are 8 hotels and short-stay apartments near Bali Zoo. 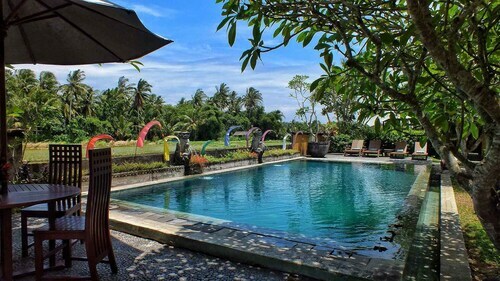 The Bumi Linggah The Pratama Villas (3 kilometres), the Santi Mandala Villa & Spa (0.8 kilometres) and the Villa Kayu Lama (2 kilometres) are all great options. Prefer to spend your dollars on sightseeing and souvenirs? If so, save your money and stay at a cheaper hotel. The Sadru House and the Arnawa Bungalow are definitely worth considering. 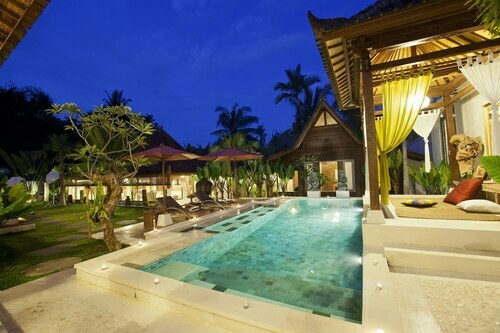 Spend a little more and stay at The Sanctoo Villa. This ritzy joint is only 0.4 kilometres away. When you need a little help to wake yourself up, pop into kopi luwak yoga barista (banjar seseh singepadu, Singapadu). 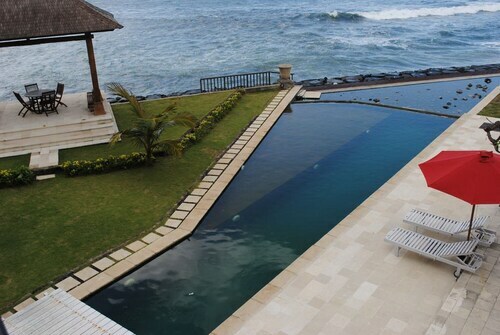 You'll stumble across this gem only 0.6 kilometres from Bali Zoo. Looking for a more substantial feed? Elephant View Restaurant is located at Jalan Raya Sukawati, Singapadu, only 0.1 kilometres away. On a grey morning, Bali Fun World is a welcome reprieve for visitors travelling with teenagers. A whirl of colour and a charming display of bird sounds will greet you at Bali Bird Park. The wares, sellers and atmosphere of Sukawati Market draw in locals and sightseers alike. Check the program, purchase some tickets and settle in. You definitely won't regret watching a show at Saha Dewa Stage. Spend a few hours at The Giant Tree, a historic attraction of some local significance. How Much is a Hotel Room in Bali Zoo? 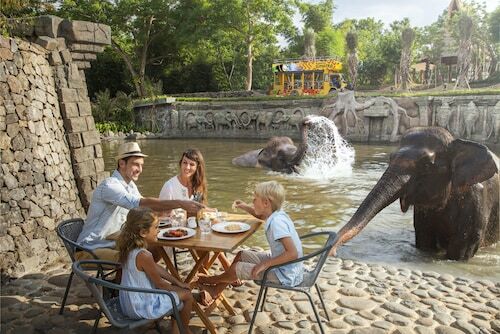 Hotels in Bali Zoo start at AU$86 per night. Prices and availability subject to change. Additional terms may apply. Good location, excellent price, just a little rough around the edges. The staff were excellent. If they managed to do a little work on the building, it would be excellent. However it is just a little rough, and matches the price. Very lovely ppl an hotel just abit far from main city.